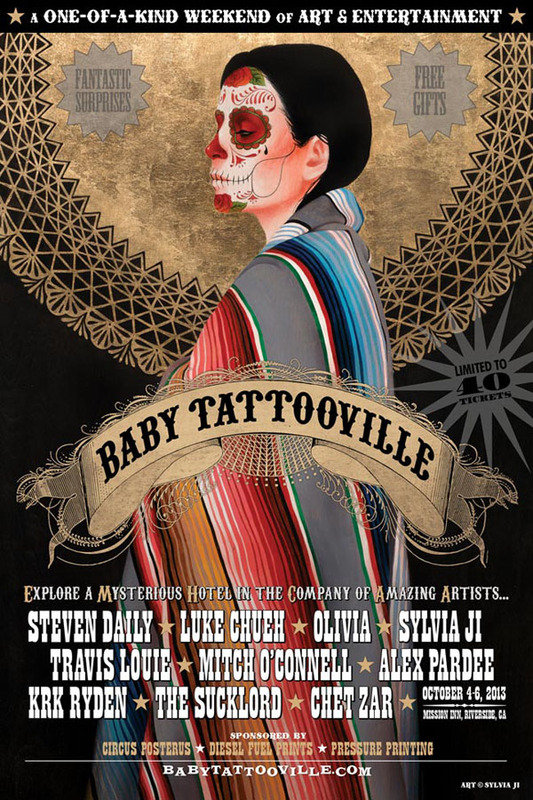 Baby Tattooville is right around the corner! 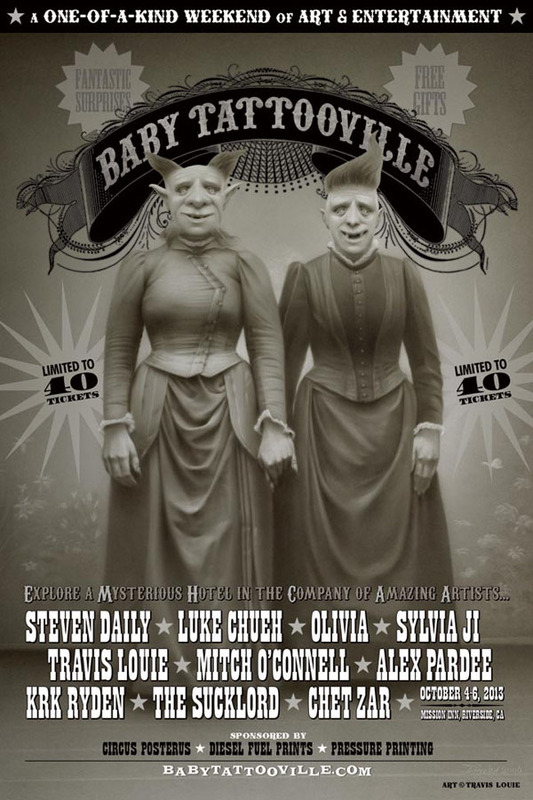 Circus Posterus is a proud sponsor of this year’s Baby Tattooville, and we have some updates from our previous post. It looks like there are some additions to the already stellar artist lineup with Luke Chueh and KRK Ryden now in the mix. This is going to be one epic show! Can you imagine how awesome the art jam will be? Only 13 tickets left for this very intimate gathering of artists this coming weekend. You can get your tickets here. Because they loved it so much last year, Kathie Olivas and Brandt Peters will also be there showing their support!